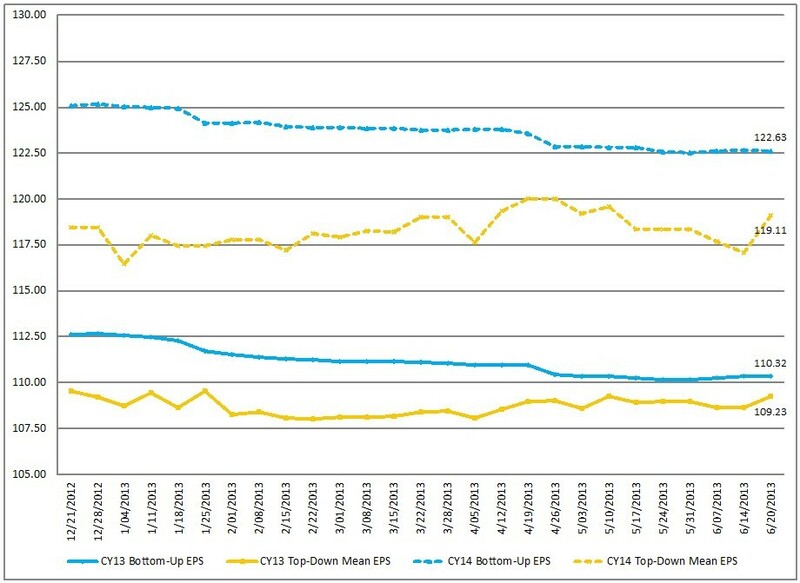 Below are three long-term charts, from Doug Short’s blog post of June 28 titled “ECRI Recession Watch: Weekly Update” These charts are on a weekly basis through the June 28 release, indicating data through June 21, 2013. 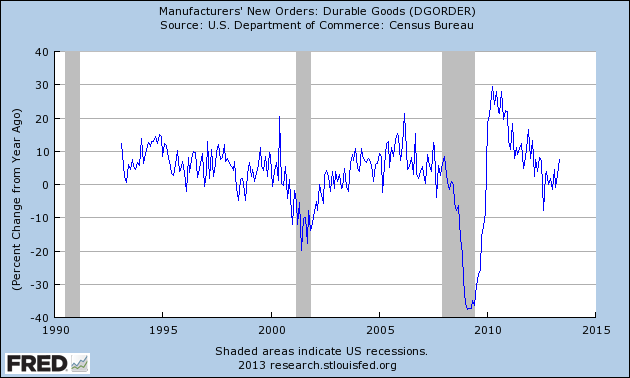 This entry was posted in Economic Forecasts and tagged ECRI on June 28, 2013 by Ted Kavadas. This entry was posted in Economic Forecasts and tagged Economic Forecasts, economic indicators, STLFSI on June 28, 2013 by Ted Kavadas. Recently Deloitte released their “CFO Signals” “High-Level Summary” report for the 2nd Quarter of 2013. CFOs are feeling reasonably good about North America and China, but expectations for Europe are dour. More CFOs rate North America’s economic health as good than as bad, and nearly two-thirds are optimistic about the region’s trajectory. By comparison, 53% are optimistic about China, and just 14% are optimistic about Europe. Growth and profitability expectations remain modest this quarter, with sales growth expectations only slightly higher at 5.7% (still below the 7% long-term average) and earnings growth lower at 10.3%* (well below the 12.3% historical average). Capital spending growth expectations declined to 7.5%*, but dividend growth rose to 4.5%* (well above their longer-term average). Domestic hiring growth expectations improved to a still-muted 2.4% (the U.S. sits at just 1.3%, and 21% of all CFOs still expect cuts). CFO optimism continued to rebound this quarter, rising from a strong +32 last quarter to an even stronger +46 this quarter. Nearly 60% of CFOs express rising optimism, and just 13% express rising pessimism (the lowest proportion in the three-year history of this survey). On the face of things, this quarter seems a lot like the last. Companies are performing relatively well, but they’re still doing it mostly through tight cost management and intense business focus – and not by riding waves of growing customer demand. 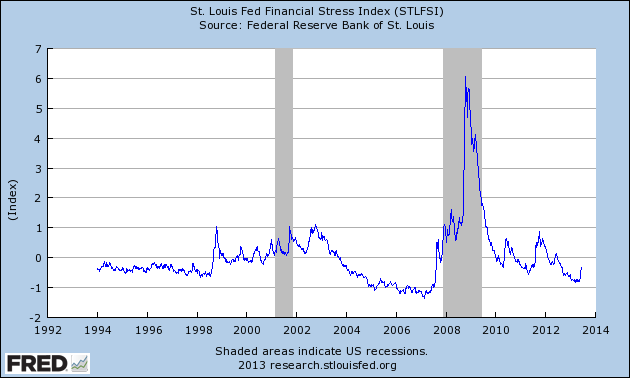 But despite all these similarities, this quarter feels notably different. CFOs’ responses this quarter seem to indicate an air of optimism that has been mostly absent for well over a year. Perhaps the best news is that CFOs mostly see North America’s economies as healthy, and they are particularly bullish about where they will be next year. And at a company level, more are positive about their own prospects than has been the case since the first quarter of 2012. Modest growth expectations are continuing to take a toll on investment. At 7.5%, capital spending growth expectations are below their long-term survey average, and domestic hiring growth expectations are still muted at 2.4% (the U.S. sits at just 1.3%, and 21% of all CFOs expect cuts). 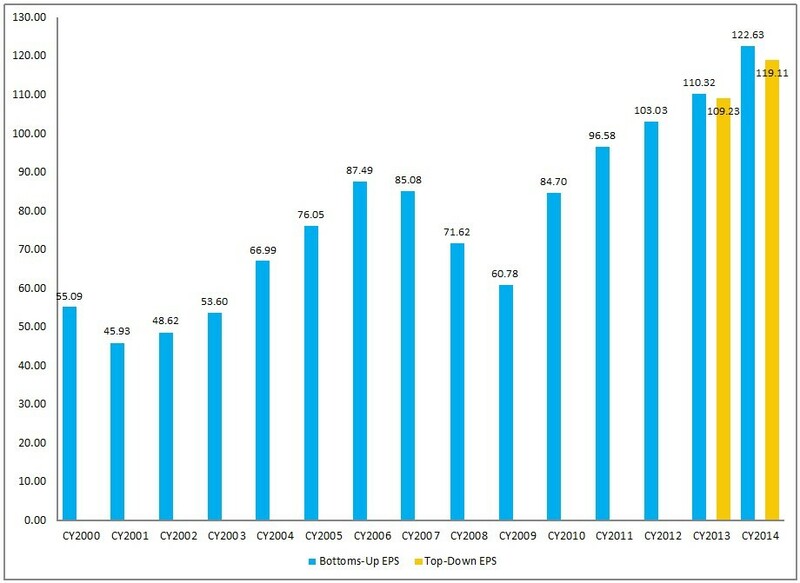 Instead of committing to these longer-term investments, CFOs say their companies are more likely to give cash back to shareholders; dividend growth expectations reached their highest level in nearly three years, and share buybacks are expected to be one of the top uses of cash for 2013. Growth is important, but profitability is still king when it comes to driving CFO compensation. More than 95% of CFOs report at least moderate influence and 75% report strong influence. But it is interesting to note that economic performance (through metrics like ROIC that incorporate both income statement and balance sheet measures) are the next strongest driver of CFO pay, with more than 70% of CFOs reporting moderate or strong influence. Also interesting is that measures more limited to the functional scope of finance (factors like liquidity, cost of capital, treasury returns, and tax efficiency) are considerably less influential – but there are important industry differences. This entry was posted in Business and tagged Business on June 27, 2013 by Ted Kavadas. On June 5 the June Duke/CFO Magazine Global Business Outlook Survey (pdf) was released. It contains a variety of statistics regarding how CFOs view business and economic conditions. …optimism among CFOs about the U.S. economy is now above the long-run average for only the second time since 2007. CFO optimism about the U.S. economy has rebounded this quarter. The U.S. Business Optimism Index rebounded to 61 on a scale from 0 to 100, well above last quarter’s reading of 55 and also above the long-run average index value of 59. Latin American CFOs are the most optimistic in the world (66, down from 69 last quarter), followed by Asian business leaders (62). African (56) and European (53, same as last quarter) CFOs are less optimistic about the future. It should be interesting to see how well the CFOs predict business and economic conditions going forward. I discussed various aspects of this, and the importance of these predictions, in the July 9, 2010 post titled “The Business Environment”. This entry was posted in Business, Economic Forecasts and tagged Business, CFO and CEO Confidence, Economic Forecasts on June 27, 2013 by Ted Kavadas. 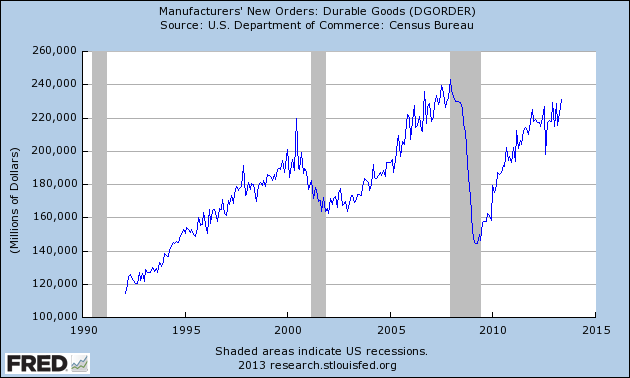 This entry was posted in Uncategorized and tagged Consumer Confidence on June 27, 2013 by Ted Kavadas. 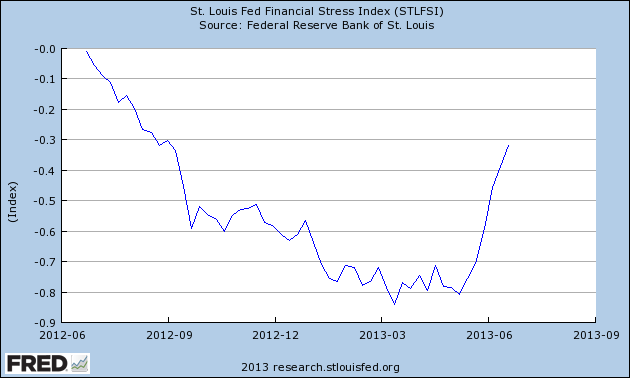 This entry was posted in Uncategorized and tagged economic indicators on June 26, 2013 by Ted Kavadas. This entry was posted in Investor, Stock Market and tagged S&P500, S&P500 Earnings, Stock Market on June 25, 2013 by Ted Kavadas.